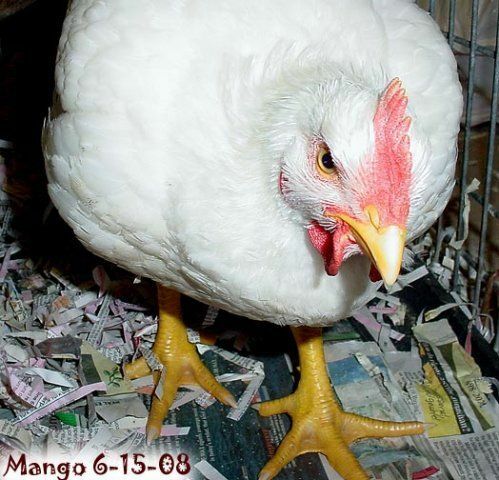 When we bought him we thought that Mango was a GSL pullet. But HE ended up being a Cornish X! [FONT=tahoma,arial,helvetica,sans-serif]Here is Mango the day that we brought him home 5-4-08. And they all were the SAME SIZE! This was their first outing and they loved it!!! Good grief.. how horrible he looked as his feathers were coming in! Gettin' some sun that same day! ahhhh! Below is Mango at 6 weeks old. His feathers are beautiful and he is so soft! Mango getting a bath at 9 weeks old!! He was so good in the tub.. we gave him fresh watermelon! Please help duck cant walk!! !